You are here: Home / Digital Crafting / Free Hocus Pocus SVG Files (Other Formats Included)! 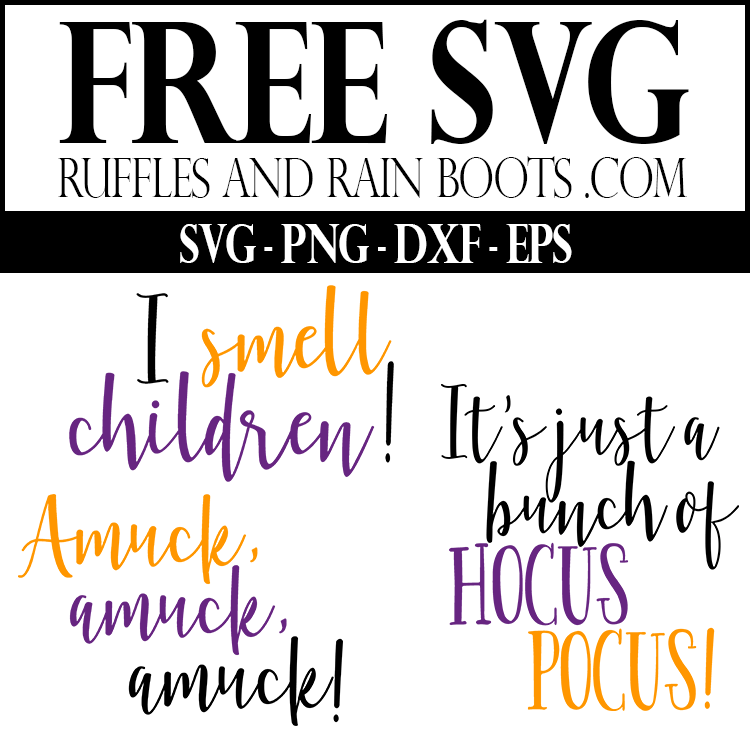 Free Hocus Pocus SVG Files (Other Formats Included)! These free Hocus Pocus SVG files are inspired by the cult-classic. 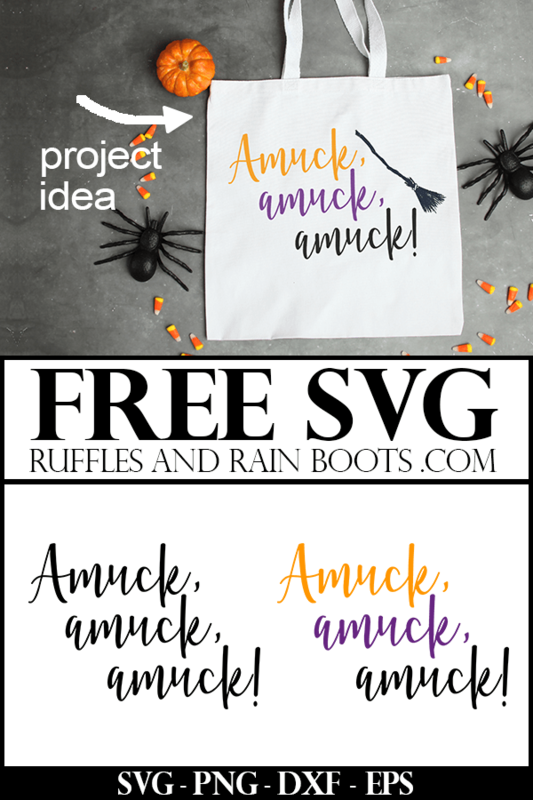 Click here to get your free SVG files and get started with some Halloween fun! I couldn’t take it anymore, friends, and I just had to start crafting for Halloween. One of my favorite daughter’s favorite movies is Hocus Pocus. The Sanderson Sisters and that cast just make the movie so much fun for all ages. 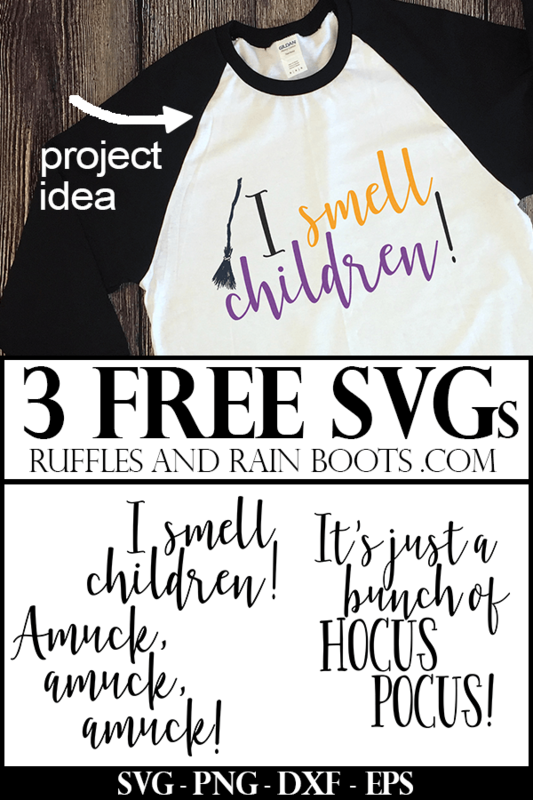 In honor of one of the most cult-loved Halloween movies for kids, here on Ruffles and Rain Boots I’m sharing a few free Hocus Pocus SVG files. To get access, all you have to do is grab your password (at the bottom of every email I send) and hit up the Exclusive SVG Library. Pin your favorite image so you can come back to this project!! This is one of my favorite lines from the movie, friends. And because we’ve watched it so many times, I know exactly when it’s coming up so I get to do it in her voice. I’m really just a tall child… I paired this fun Hocus Pocus cutting file with the broom from this fun set. One of the most famous lines of any Halloween kid’s movies, this one is an easy one for anyone to love. I’ve included a black PNG, a colored PNG, an EPS, a DXF, and an SVG file. You’re covered no matter what type of machine you have! I used the hat from this Halloween hand-drawn set to give it oomph! 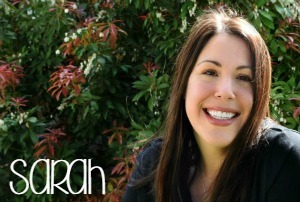 I’m grinning from ear to ear right now as I type this. If I had to name a quote from this movie, it’s this one. And yes, it comes with me jumping up and down and bouncing my head all around. #hocuspocusfan again, I paired it up with the hand-drawn broom from this Halloween collection. 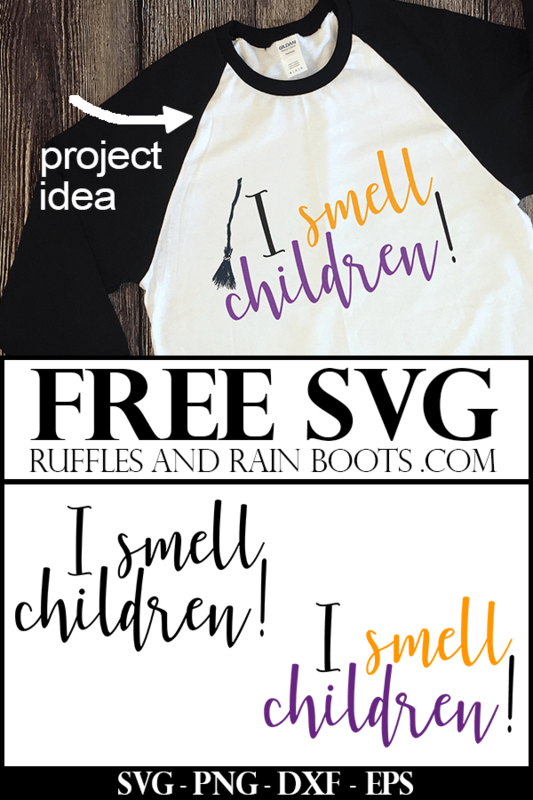 If you’re not yet signed up to receive the fun, non-spammy, once-weekly newsletter, sign up for the Ruffles and Rain Boots newsletter here. 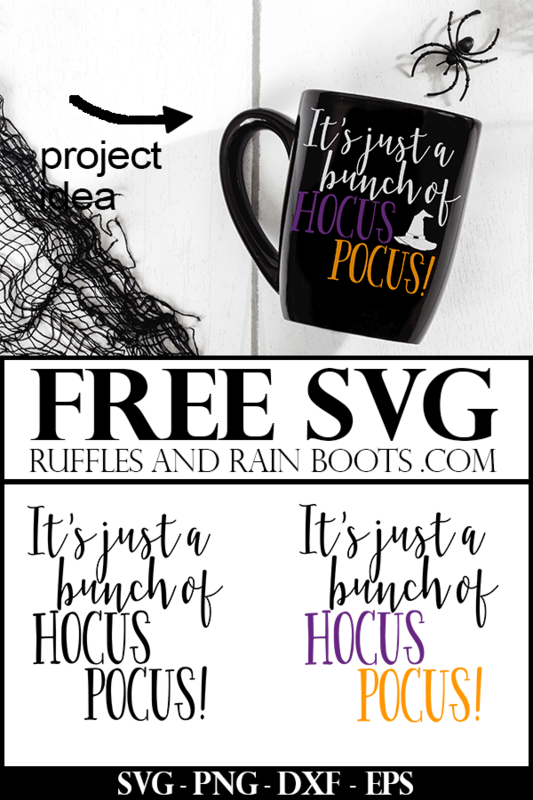 What are you going to make with these free Hocus Pocus SVG files? Let us know in the comments or join the fun and share your design with us here.